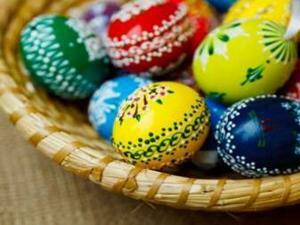 Do you celebrate Easter in your culture? Learn about this important holiday that is celebrated by many English speaking people. 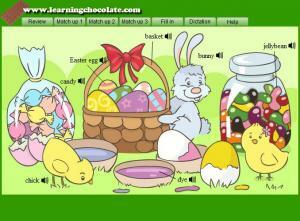 Click on the audio to hear English vocabulary words related to Easter, such as Easter egg, candy and jellybean. Five different activities give a lot of practice. Learn how to pronounce common Christmas words, including many decorations. The vocabulary list includes the pronunciation and the written form of each word with matching games to test yourself until you've mastered them all! "Halloween Night" is a children's Halloween song designed to give you a gentle introduction to Halloween and the traditional creatures/monsters associated with the celebration. It is a fun video to help you with your vocabulary skills. What kinds of games do you play in the winter? 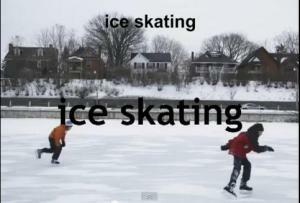 Games are different in different seasons depending on the weather. Learn what games children play in the winter,spring, summer and autumn. Match the audio by dragging the arrow to the correct season. What do you normally take with you when you go to the beach? What do you see? 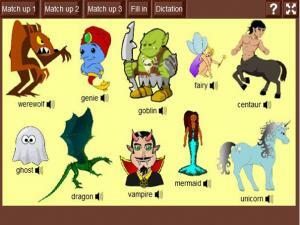 Look at the pictures and learn the words before playing the match-up games to see how many words you can get right! What do you know about Halloween? 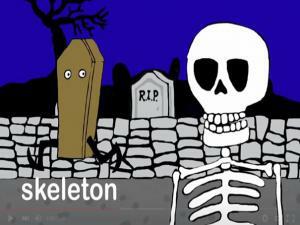 This Halloween learning video will introduce a variety of Halloween vocabulary: bat, candy cane, black cat, ghost, jack-o-lantern, skeleton, spider, tomb, spider web, witch. Can you listen and repeat? A short video to teach some basic Christmas vocabulary. Look at the picture, listen to the word and read the spelling. 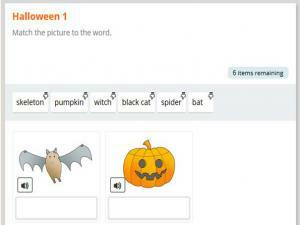 Play a word game to learn and practise Halloween vocabulary. Match the picture to the word. Does your family celebrate Christmas? What do you usually do on Christmas Day? 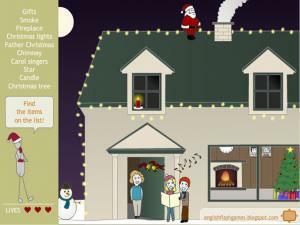 Go through the fun vocabulary exercises to help learn words to talk about Christmas. Can you match these words and pictures up correctly? 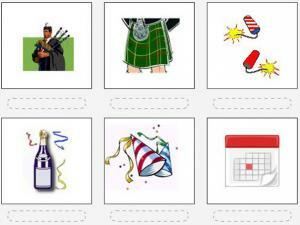 Click and drag the words to match the pictures and learn some New Year's Eve common vocabulary. When it starts getting cold outside, you know winter is right around the corner. Why not put on your gloves, warm up to some nice hot chocolate, and get ready to learn winter words! Put on your bathing suit, grab some ice cream, and head to the beach. Learn some important summer words in English and then you can just relax by the beach eating some watermelon while wearing sandals, now that you know how to say all that in English. Find the items on the list! 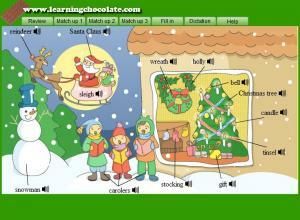 A quick game to practice Christmas vocabulary. Enjoy the Valentine's Day and come here to learn its common words. The vocabulary list includes the pronunciation and the written form of each word with matching games to test yourself until you've mastered them all! Will you dream about your wedding? Come and learn the vocabulary about it. Click on the audio to hear words, such as bribe, groom and priest. Five different activities give a lot of practice. Halloween is a fun holiday celebrated mainly in North America. Learn the scary English names for monsters and ghosts! This vocabulary list includes the pronunciation and the written form of each vocabulary word with matching games to test yourself until you've mastered them all! What do you know about Christmas? 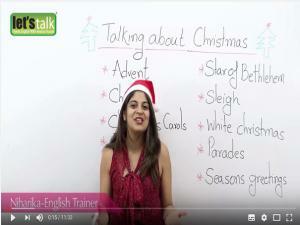 This Christmas learning video introduces a variety of Christmas vocabulary. Can you listen and repeat? Get through this maze by listening to the word and clicking the appropriate picture. 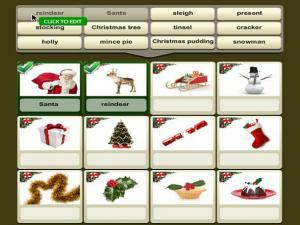 This engaging game tests your knowledge of vocabulary related to the Christmas holiday. If you get it wrong you'll have another chance, but there is a time limit! St. Patrick’s Day is a fun holiday celebrated by the Irish around the world on 17th March. Learn the words linked to St. Patrick and Ireland. The vocabulary list includes the pronunciation and the written form of each vocabulary word with matching games to test yourself. Practice your listening and vocabulary skills. What are Johnny and his friends going to do for New Year's Eve? Is Carlos finally asking Sarah out on a date? Listen to the audio and work your way through the questions to check your understanding. Do you like going to the beach? 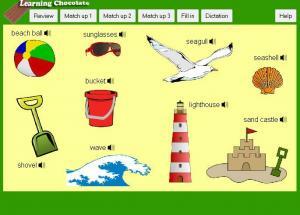 This game tests your vocabulary with exercises to learn words about things connected to the beach. Vocabulary exercises to learn words to talk about staying in a hotel. The exercises will test your reading skills, as well as your general vocabulary knowledge. 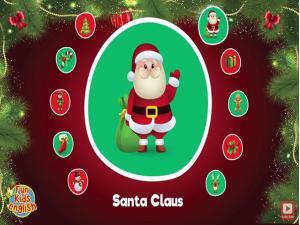 Learn some fun Christmas vocabulary by watching this animated video. Read the word and listen to the pronunciation of each Christmas item. 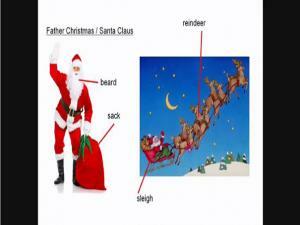 Vocabulary exercises to help learn words to talk about Christmas. Match the word and pictures, read the sentences and choose the correct answer then practice your vocabulary with a gap-fill exercise. Vocabulary exercises to help learn words for talking about holidays. Match the word and pictures, read the sentences and choose the correct answer then practice your vocabulary with a gap-fill exercise. Dare you enter the Haunted House? You have to find six things in the house - one in each room. Read or listen to the clues then have a look around. When you find the thing you're looking for click on it. Collect all six objects and you'll get a surprise! 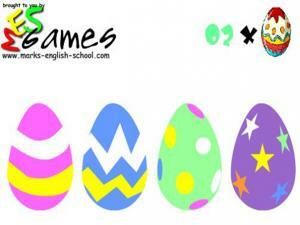 A simple, fun site to review your Easter vocabulary words and then play a memory game to check your understanding. Can you choose the right Easter egg to look behind? 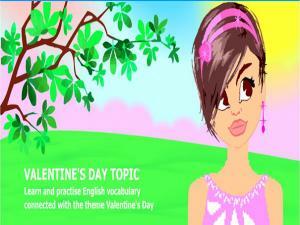 Learn words related to Valentine's Day and love. Click on a tile to flip. Keep doing this until you make a match. When a match is made, the word and picture will move to the side where you can click to hear the word again. This site has lots of different activities to help you learn and practice vocabulary connected with the theme of Easter. 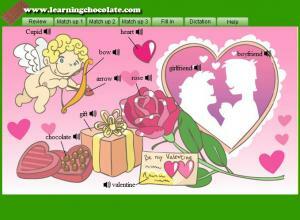 Learn and practice vocabulary connected with the theme of Valentine's Day. Begin with reviewing the picture dictionary, then play the games to test your memory and understanding of any new words. 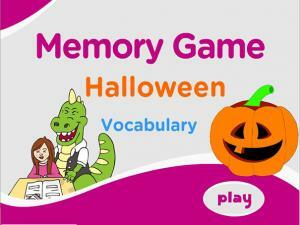 Learn some Halloween vocabulary with this fun memory game, using audio, images and text to practice spelling, reading, listening and word recognition. Play the game at least twice to practice all the words - the first time you play, only 6 words will be used, then with each game, new words will show up. 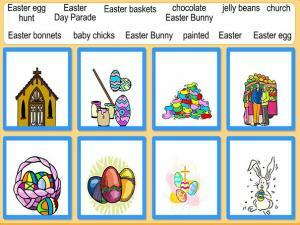 Match the words and pictures to practice your Easter vocabulary. There are lots of games to play, so you can really build up lots of new words. Are you going to a wedding soon? Have you planned your own wedding? 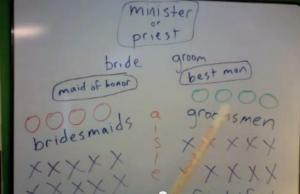 This video lesson discusses the titles of participants in a typical North American wedding ceremony. 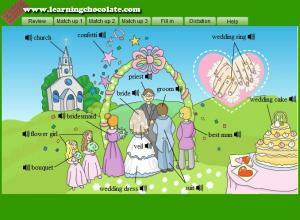 Listen and learn the titles and functions of everyone in the wedding party. 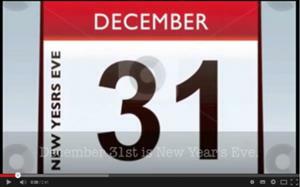 New Year's Eve is celebrated all around the world. Learn some English vocabulary while also learning about the customs and traditions of this holiday. 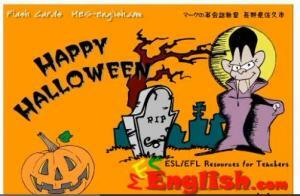 Learn vocabulary related to the Halloween holiday in this set of video flashcards. Listen to the English pronunciation as you hear the name of each item associated with Halloween - the scariest holiday of the year. 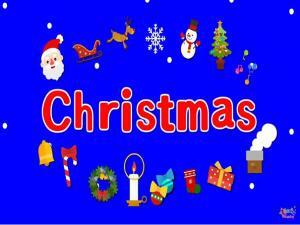 Learn vocabulary related to the Christmas holiday in this set of video flashcards. Listen to the English pronunciation as you hear the name of each item associated with Christmas. Halloween is a spooky time! 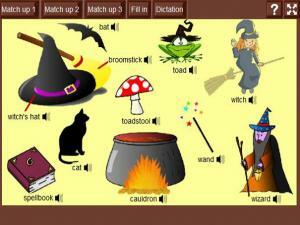 Have fun with this resource to learn some more vocabulary about Witches and Wizards! Lots of people go to parties and dress up for Halloween. 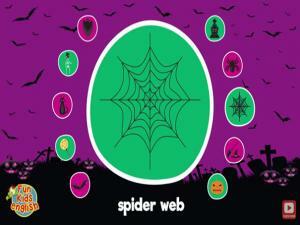 Practice your spelling, reading and listening skills and get some great ideas for your costume at the same time! 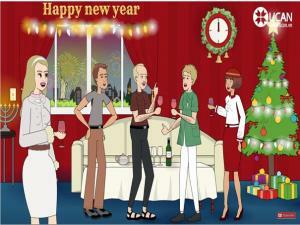 Watch the video, listen to the story and read the sentences to learn all about New Year. 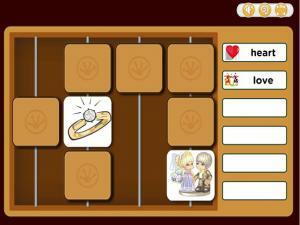 You can also test your vocabulary by guessing the correct word to complete the sentences at the end. This is a very interesting, detailed site where you are asked to become the historian to work out the true facts of the very first Thanksgiving in 1621. There is a glossary to check any vocabulary you don't know and audio to help you listen to the clues you are given to work out the real events of the day. What can you do at the seaside? 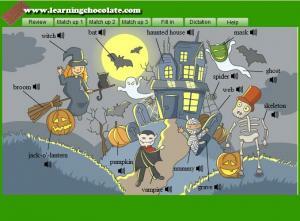 This site has different activities that test your vocabulary and listening skills. A Christmas vocabulary lesson with subtitles in which Andrew teaches you lots of English words and phrases related to a traditional English Christmas in the United Kingdom. In this video, you'll learn all about New Year's Day Holiday in the US and how it's celebrated, from food to decorations, while building your English vocabulary. Key terms are explained and a full definition is posted on the left of Alisha on the screen for you to read. 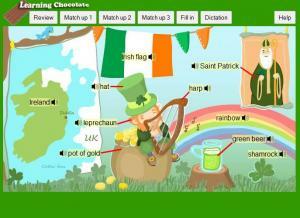 A fun reading exercise, all about St. Patrick's Day. Read the article and then answer the reading comprehension questions at the end. 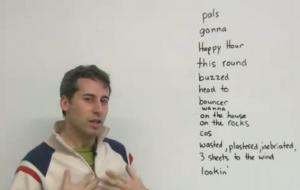 There is a list of key vocabulary for you to learn and check as well. What is a celebration? 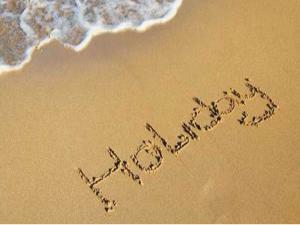 What is the difference between holiday, festival and vacation? Read through the text and learn the difference between a sabbatical, gap year or career break. 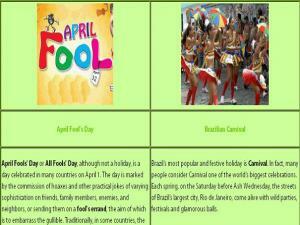 It also gives information on many different types of holidays and celebrations from around the world. This lesson is about Christmas. 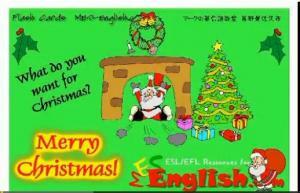 It includes Christmas vocabulary and some facts and customs followed by people during Christmas. Use this site to find out more about Easter around the world. 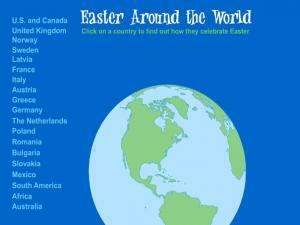 Click on a country and read about how they celebrate Easter. 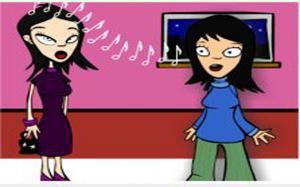 A video lesson for advanced English language learners on Idioms and Sayings related to Thanksgiving. 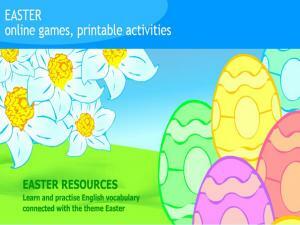 This site has lots of exercises, vocabulary and worksheets for EFL learners to learn all about the Easter holiday! You can choose the type of game you want to play or play all the games within your ability level. 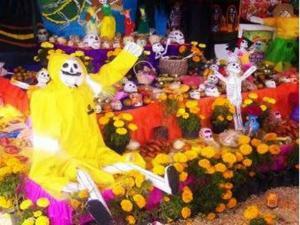 This site has lots of great games and vocabulary exercises all to do with the Mexican Day of the Dead. There are also some reading and listening comprehension exercises. Test your vocabulary skills and learn about a new culture at the same time! 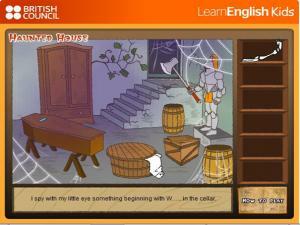 A great site with lots of different types of language exercises, for all ability levels, all about holidays and travel. 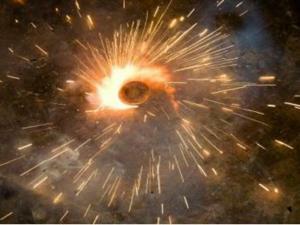 Learn about Diwali while practicing your vocabulary and reading skills. There are lots of links to games and exercises for all ability levels. 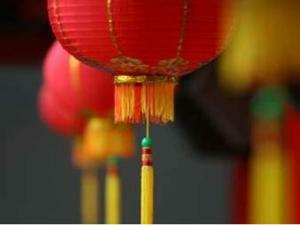 Vocabulary games and online quizzes all about Chinese New Year. Test your vocabulary skills, and learn about a new culture at the same time.